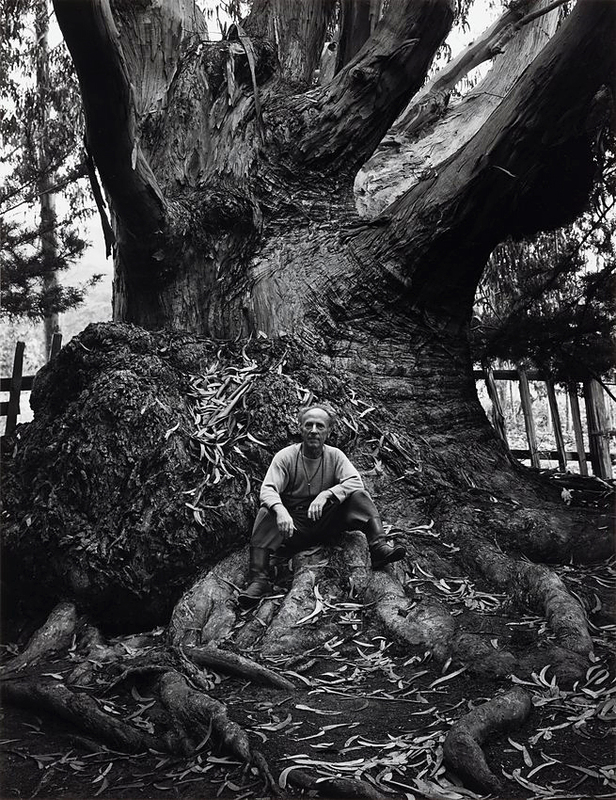 Tags: #274-5, 49th Parallel, Albert Renger-Patzsch, Albert Renger-Patzsch Das Bäumchen, Alfred Stieglitz, Alfred Stieglitz Dancing Trees, Alfred Stieglitz Poplars Lake George, Ansel Adams, Ansel Adams Aspens Northern New Mexico, Ansel Adams Edward Weston Carmel Highlands, Aspens Northern New Mexico, Awoiska van der Molen, Awoiska van der Molen #274-5, Awoiska van der Molen Sequester, Barbizon School painters, black and white landscape photography, Bourne & Shepherd, British landscape, Carleton Watkins, Carleton Watkins Yosemite Valley from the "Best General View", Charles Shepherd, Charles Thurston Thompson, Child on Forest Road, collotype process, Collotypes, colour landscape photography, Coppice (King's Wood), Cutting on the 49th Parallel on the Right Bank of the Mooyie River Looking West, Dancing Trees, Das Bäumchen, Edward Weston Carmel Highlands, exhibition, Fontainebleau, French forest of Fontainebleau, Gerhard Stromberg, Gerhard Stromberg Coppice (King's Wood), Gustave Le Gray, Gustave Le Gray In the Forest of Fontainbleau (Bas-Bréau), Hakkoda #2, Hakkoda forest, In the Forest of Fontainbleau (Bas-Bréau), Into the Woods, Into the Woods: Trees in Photography, Lake George, landscape photographs, landscape photography, London, Mark Edwards, Mark Edwards Rotting Apples, Narrative of a Photographic Trip to Kashmir (Cashmere) and the Adjacent Districts, nature of the landscape, Pacific Northwest, photographs of trees, photography of trees, Poplar Avenue Srinuggur Kashmir from the end, Poplars Lake George, psychological states in relation to landscape, Rimon (Pomegranate), Rotting Apples, Royal Engineers, Royal Engineers Cutting on the 49th Parallel, Royal Engineers Cutting on the 49th Parallel on the Right Bank of the Mooyie River Looking West, Samuel Bourne, Samuel Bourne Poplar Avenue, Samuel Bourne Poplar Avenue Srinuggur Kashmir from the end, Sequester, Srinuggur Kashmir from the end, Tal Shochat, Tal Shochat Rimon (Pomegranate), The British Journal of Photography, the British landscape, Tokihiro Sato, Tokihiro Sato Hakkoda #2, transcendence and specificity, tree photography, Trees in Photography, uninhabited natural spaces, Victoria and Albert Museum, Wynn Bullock Child on Forest Road, Yosemite Valley from the "Best General View"
Gustave Le Gray trained as a painter in the 1840s but took up photography soon after. 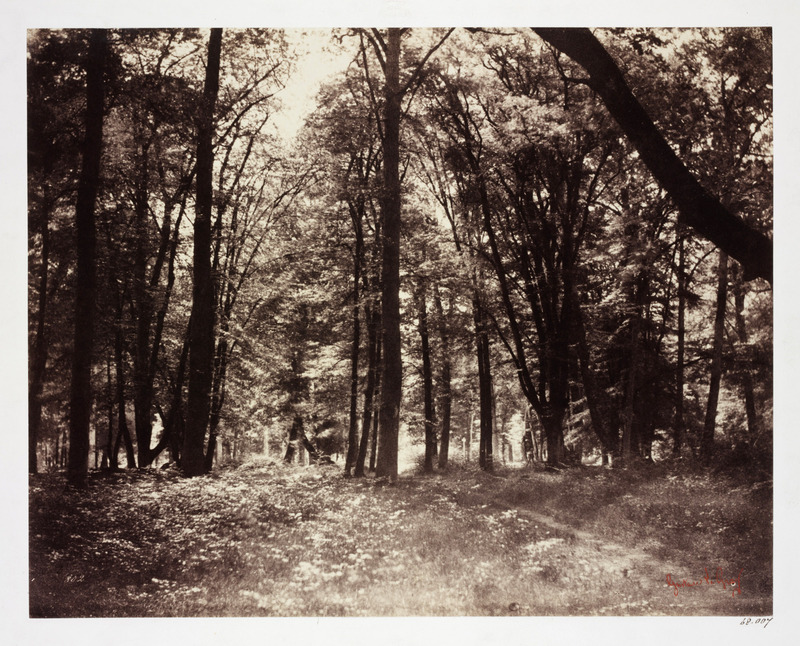 He followed the Barbizon School painters to the French forest of Fontainebleau, where he made enchanting photographic studies. Combining technical knowledge with artistic flair, Le Gray rapidly became one of the most renowned photographers of his day. The innocence of being a child growing up on the land returned, the innocence of something that is never really forgotten. I still am a country boy at heart; I still love the land and the trees. I always will. It’s a pity then, that this seems to be just a “filler” exhibition from the V&A. No press release, two sentences on the website (see below) and no information about the images such as details of process etc… I had to dig into the collection to find the information you read here, including the text descriptions beneath the images. For such a magical and mythical subject that has fascinated human beings since the beginning of time, you might have expected a more in depth investigation. As an addendum I have included my favourite tree images. You will have your own. The last image in particular has that element of threat and wonder that makes the forest such a rich, fluid and evocative space. Many thankx to the V&A for allowing me to publish the photographs in the posting. Please click on the photographs for a larger version of the image. Trees have long been a source of inspiration for artists. 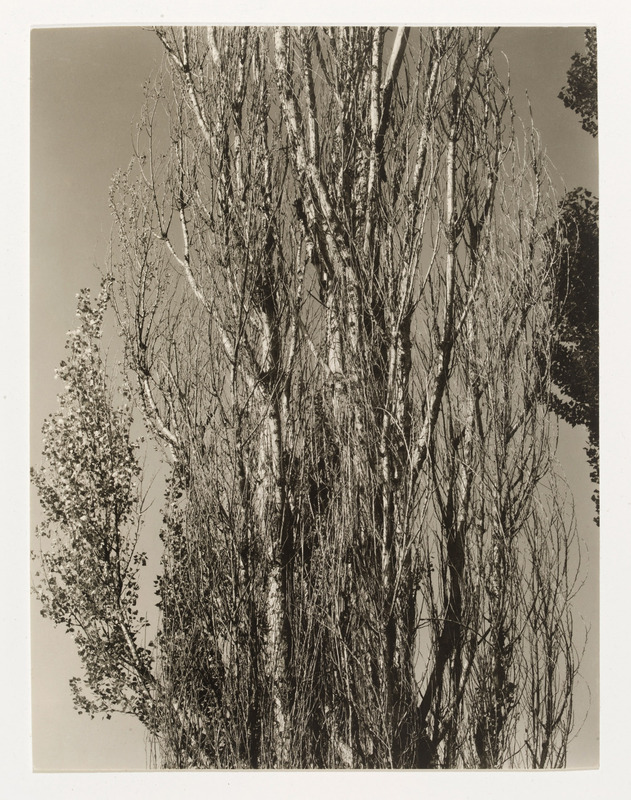 This display explores the diverse representation of trees in photography – as botanical subjects and poetic symbols, in the context of the natural and human worlds. In 1856 the War Department appointed the South Kensington Museum photographer Charles Thurston Thompson to teach photography to the Royal Engineers. On one expedition these soldier-photographers documented the border between the USA and Canada. 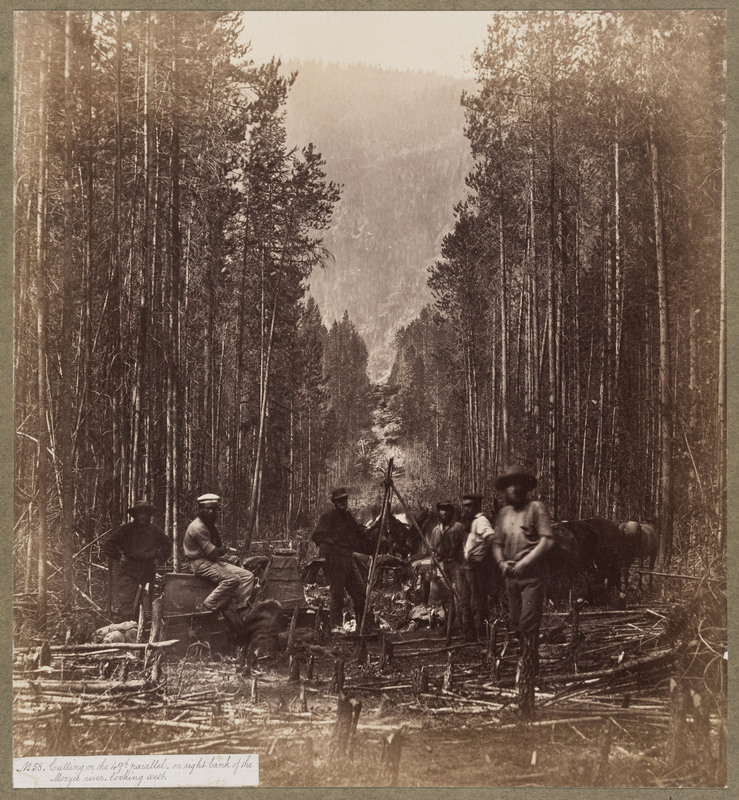 From the crest of the Rockies westwards along the 49th Parallel to the coast, they painstakingly recorded everything that crossed their path, producing ‘one of the earliest significant bodies of photographs made in the Pacific Northwest’. In 1863 Samuel Bourne (1834-1912) arrived in India. He had left his job as a Nottingham bank clerk in order to develop his new career as a photographer. Bourne undertook three treks to Kashmir and the western Himalayas in 1863, 1864 and 1866, during which he photographed his surroundings extensively. Towards the end of the 1860s, Bourne established a partnership with fellow photographer and Englishman Charles Shepherd (fl.1858-1878) and in the space of a few years Bourne & Shepherd became the pre-eminent photographic firm in India. By the end of 1870 they had three branches, in Simla, Calcutta and Bombay. Samuel Bourne’s ability to combine technical skill and artistic vision has led to him being recognised today as one of the most outstanding photographers working in India in the nineteenth century. Lake George was the family estate where Stieglitz spent his summers, often with his wife, the painter Georgia O’Keefe. However, he took this photograph when O’Keefe was away in New Mexico. 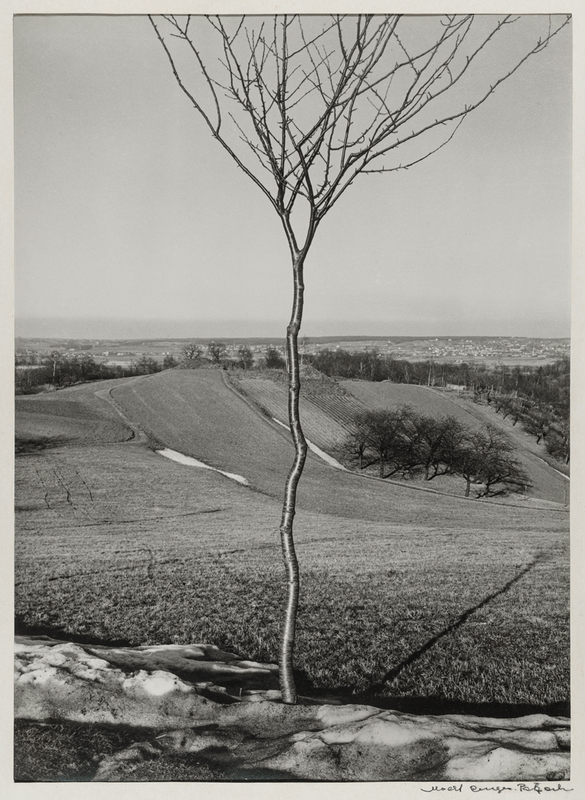 The loneliness of separation led Stieglitz to contemplate his own mortality, a theme reflected in this representation of poplars. Perhaps he identified with the trees’ dwindling vitality, as he photographed them repeatedly that summer, almost as one might check one’s pulse. Ansel Adams is well-known for his portrayal of the mountain ranges, deserts, rivers and skies of the western United States. 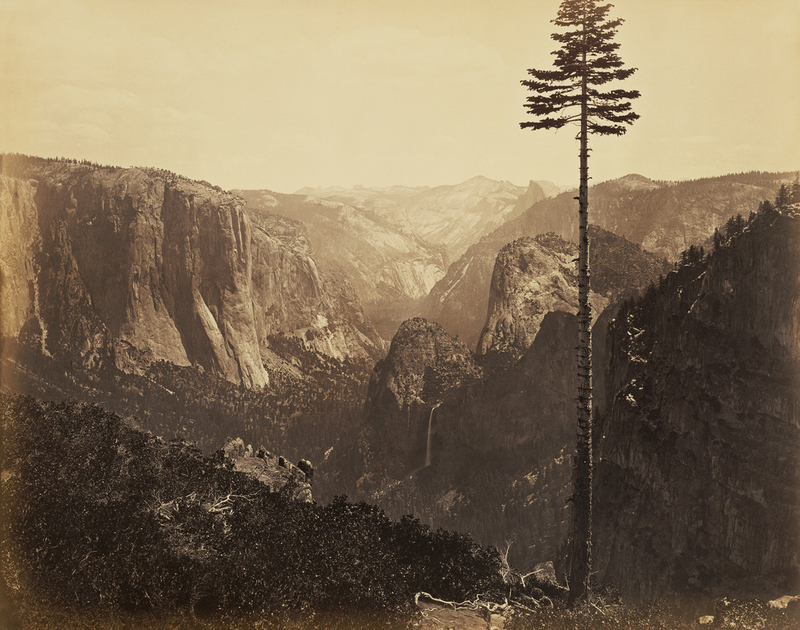 Adams was a passionate lover of the vast American wilderness and an active conservationist. 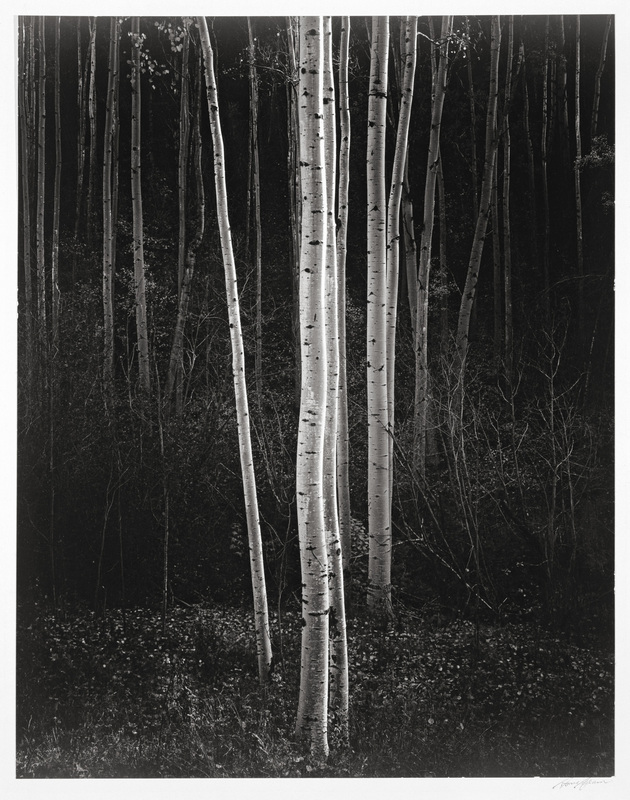 He commented, “my approach to photography is based on my belief in the vigour and values of the world of nature – in the aspects of grandeur and of the minutiae all about us.” Having trained as a pianist before turning to photography in 1927, Adams often discussed his process of composition in musical terms. 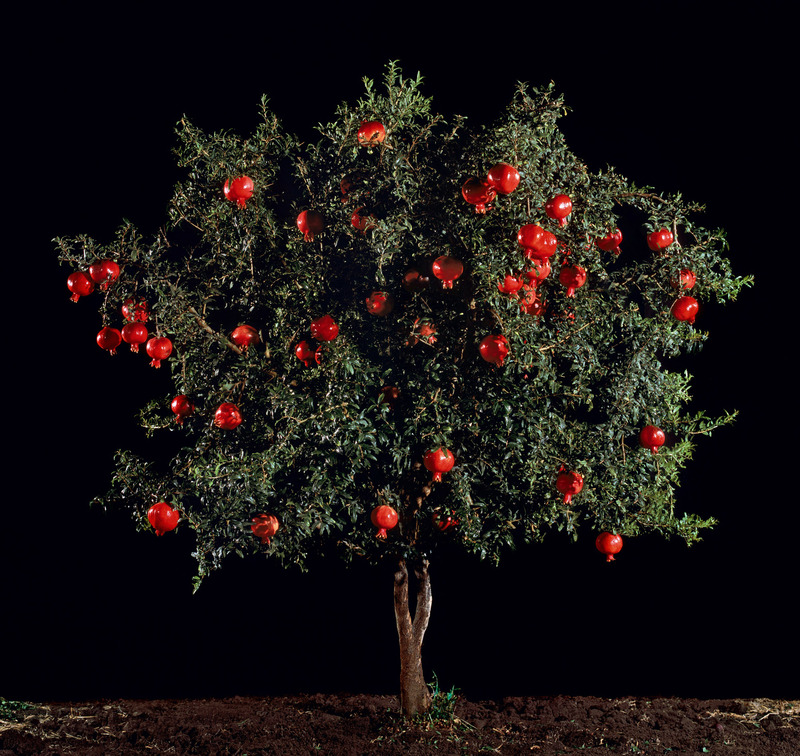 Gerhard Stromberg is one of the foremost contemporary photographers working with the subject of the British landscape. His images demonstrate how constructed this landscape can be. The subtle, large format prints (5 x 6 ft approx.) 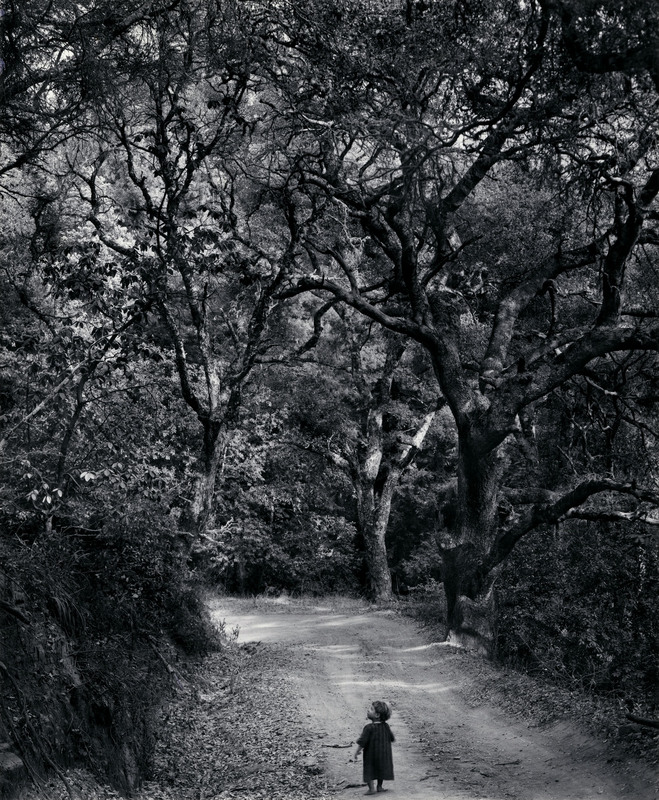 allow the viewer to contemplate details that reveal the photographers’ intimacy and familiarity with the subject. This piece is one of the most representative of his works. 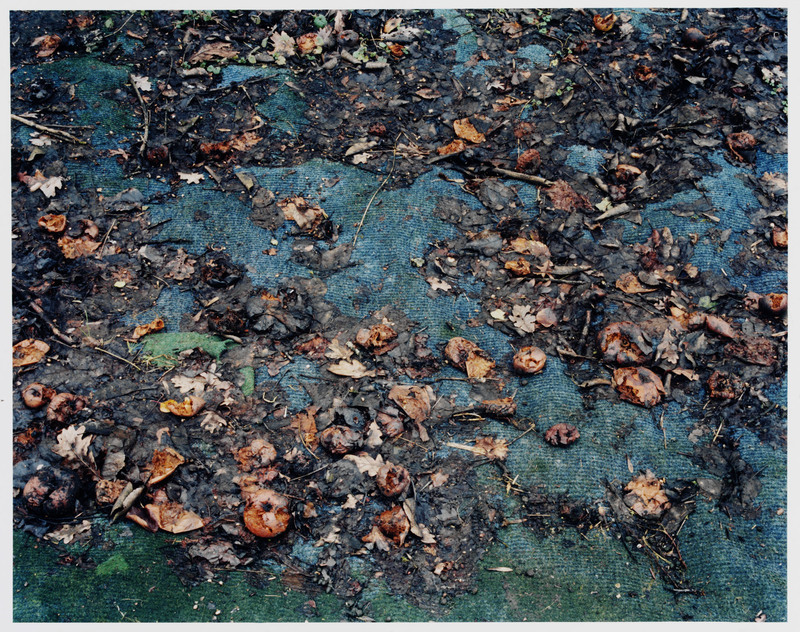 A c-type print, such as Ektachrome, is a colour print in which the print material has at least three emulsion layers of light sensitive silver salts. Each layer is sensitised to a different primary colour – either red, blue or green – and so records different information about the colour make-up of the image. During printing, chemicals are added which form dyes of the appropriate colour in the emulsion layers. It is the most common type of colour photograph. This image of apples lying rotten on a peacock blue carpet was taken in a family garden on a Norfolk nature reserve. The owners use pieces of old carpet, often donated by a neighbouring Buddhist retreat, as weed control. The decorative juxtaposition of the natural with the man-made moved Mark Edwards to record the carpet as it became integrated into the fabric of the garden. The photograph hints at ideas of contemplation and the passage of time. This photograph embodies Sato’s ephemeral imagination. It was made in the primeval Hakkoda forest, in northern Honshu on the main island of Japan. The image reveals a long fascination with the sculptural form of the Japanese Beech tree. 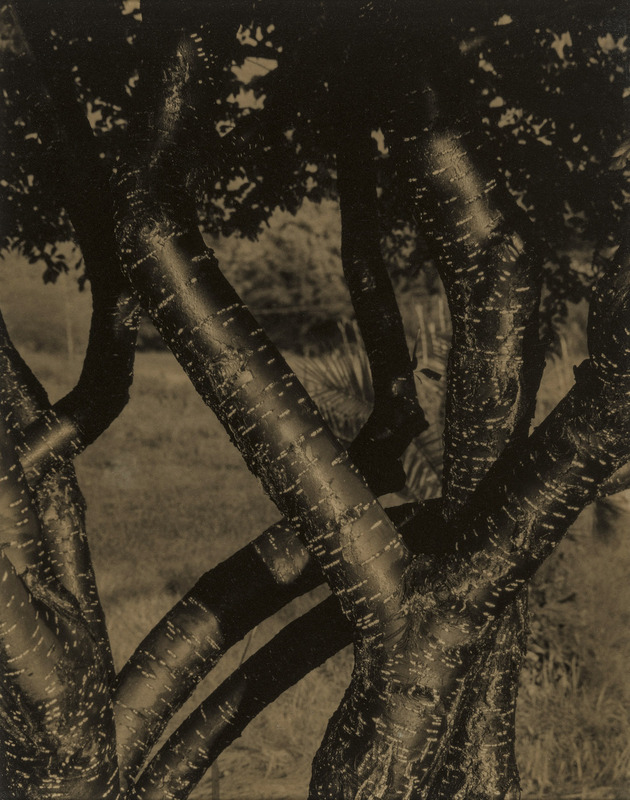 Sato has said that to him ‘these trees suggest the ancient continental origins of the Japanese people while representing masculine strength and feminine sensitivity’. To make the picture, he exposed large-format film, during which he moved in front of the camera with a mirror reflecting the sun’s rays. The power of the sun momentarily ‘blinds’ the camera, creating an area that registers on film as an intense flare of light. Although we know that Sato is standing somewhere in the scene, we struggle to locate precisely where. While his traces are like pinpoint coordinates on a map, all we can do is estimate his continually moving location and follow the possible connecting trails. 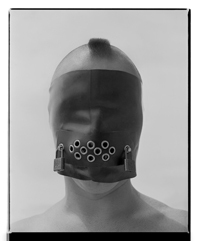 In this way, his photographs can be seen as enigmatic sculptural or physical performances. Knowing how Sato makes his images, we recognise there is not a multiplicity of presences indicated by the lights, but instead a multiplicity of one presence: the artist’s. His omnipresence might be a hint of some kind of divinity: the ever-present force of an invisible creator. Or it may simply be a record of the movement of one human force. However it is interpreted, human or divine, the light is a kind of mark that asserts both transcendence and specificity: “I was here,” even if, as in life, it is only momentarily. Shochat applies the conventions of studio portraiture to photographing trees. The first stage in her meticulous process is to identify the perfect specimen of a particular type of tree. When the fruit is at the height of maturity, she cleans the dust off the branches, leaves and fruit. Finally, Shochat photographs the tree, artificially lit and isolated against a black cloth background. The photographs present a view of nature that would never actually exist in a natural environment. The work highlights the tensions in photography between reality and artifice. For the project Sequester, van der Molen walked alone in the Canary Islands, seeking to ‘gain access to the stoic nature of the landscape’, as she describes it. 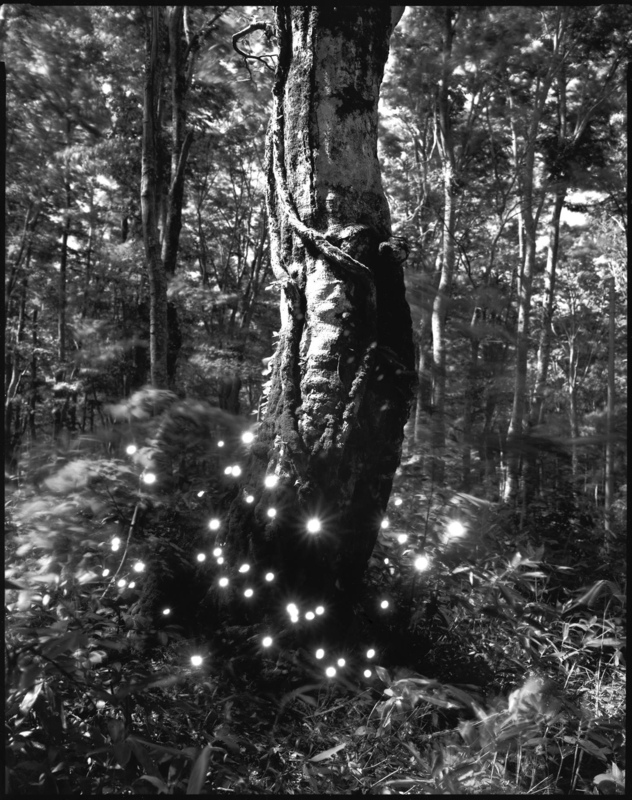 She made long exposure black-and-white pictures of the dramatic volcanic terrain and dense forests at dawn and dusk. The exposures could be as long as thirty minutes and result in photographs of great intensity and ambiguity. 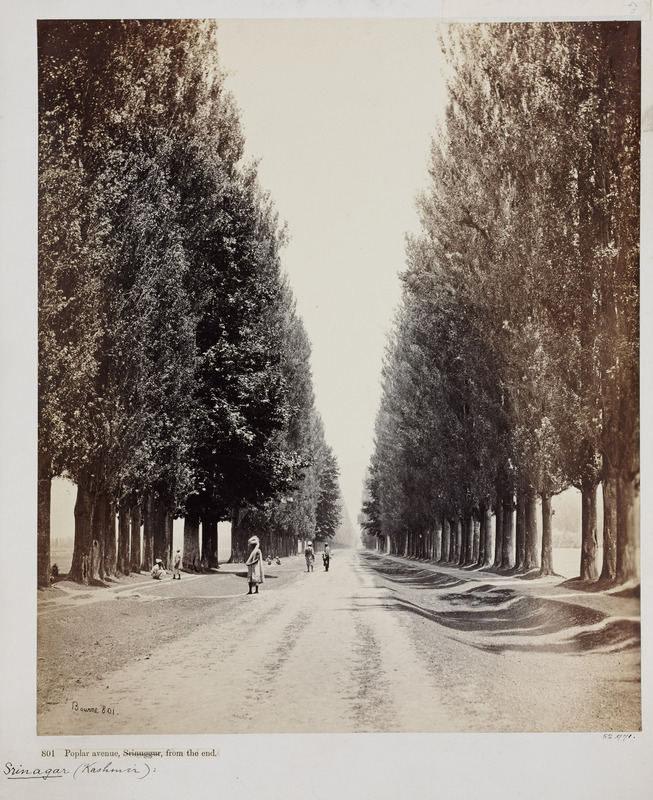 Van der Molen’s photographs go beyond the long tradition of black and white landscape photography, exemplified by photographers in the V&A collection such as Gustave Le Gray, Samuel Bourne, Ansel Adams, and Edward Weston. 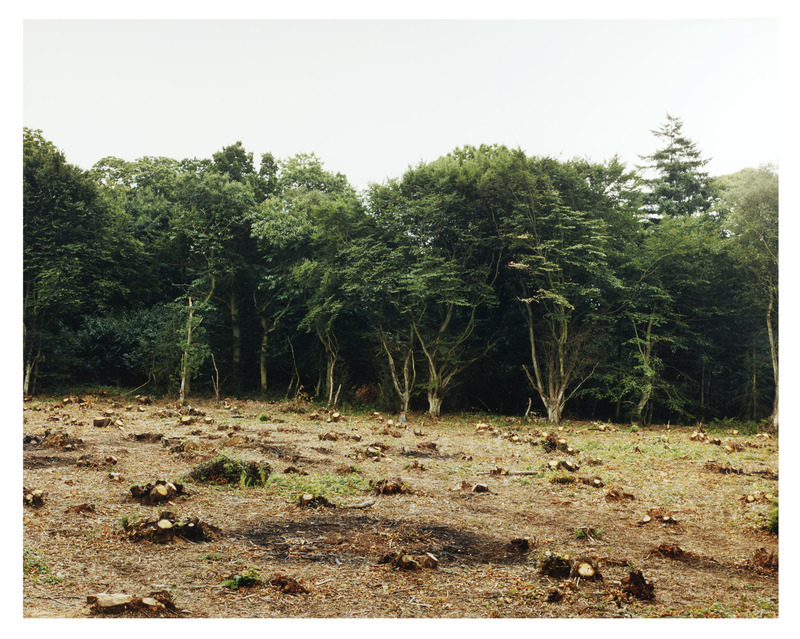 Rather than emulating the visual approaches of past masters, she seeks to portray the inner condition that uninhabited natural spaces engender. 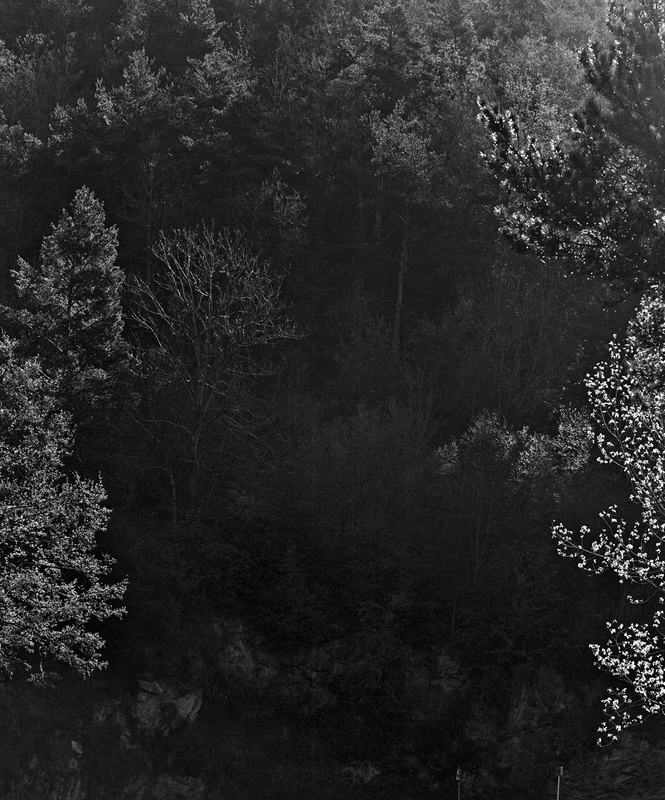 Her interest in psychological states in relation to landscape can be aligned with that of numerous contemporary practitioners, including Chrystel Lebas and Nicholas Hughes, whose landscape photographs are also created using long exposures and convey a similar atmosphere of primeval power and solitude. The collotype process is a screenless photomechanical process that allows high-quality prints from continuous-tone photographic negatives. Collotypes are comprised of many layers of ink and have a velvety matte appearance; the process has the power to produce the depth and detail of these works faithfully. Other examples of collotypes in the collection largely date from the 19th century and include works by Eadweard Muybridge and Julia Margaret Cameron. Once a widespread process, today, there are only two professional collotype studios remaining, both of which are in Kyoto. In 2014, van der Molen received the Japanese Hariban Award, which gave her the opportunity to collaborate with the master printmakers of the Benrido Collotype Atelier in Kyoto to produce this set of 8 collotypes from the Sequester project.